Some of you who have visited HMNS since the Opening of our epic new exhibit Gladiators: Heroes Of The Colosseum may have noticed a couple interesting characters roaming the exhibit halls. They are our gladiators! We got a behind the scenes look as Collin and Seth, who play our Retuarius and Secutor, prepared to terrorize and amaze dozens of school children, all part of their jobs as HMNS ambasadors of awesome history. When they aren’t wielding deadly weapons, our actors have equally interesting jobs. Seth is an athletic model, and Collin is a mixed martial arts fighter. Their chiseled appearances are actually the only thing that’s not accurate about their costumes. 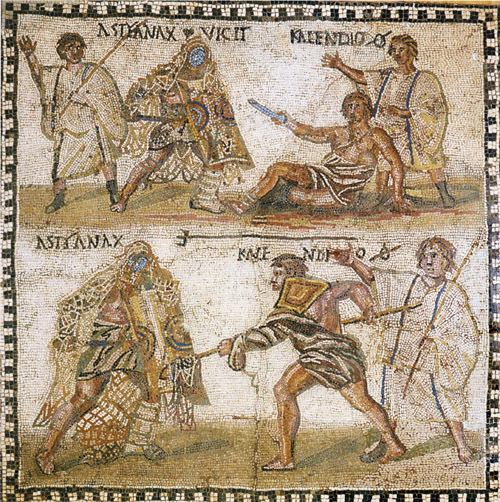 In real life Gladiators would have been a bit husky, the extra girth helped to protect arteries and nerves. Flesh wounds would still have been nice and gory for the crowds, but less life-threatening to the gladiators themselves, so fights could go on longer. Also designed for the entertainment of the crowds were the styles of the armor gladiators wore. The costumes our actors wear are that of the Retiarius and the Secutor, arguably the most famous combination of gladiators. The Retiarius was very lightly armored, with only one shinguard, one armguard and a shoulder guard. He had no helmet and his only weapons were a trident, a weighted net and a dagger. The Secutor was heavily armored and equipped with a gladius, a shield and a helmet. It may sound like a very uneven match, but in actuality the cumbersome armor of the Secutor, combined with Retiarius’ agility and longer reach with his trident made for a pair that were equally matched with distinct advantages and disadvantages. 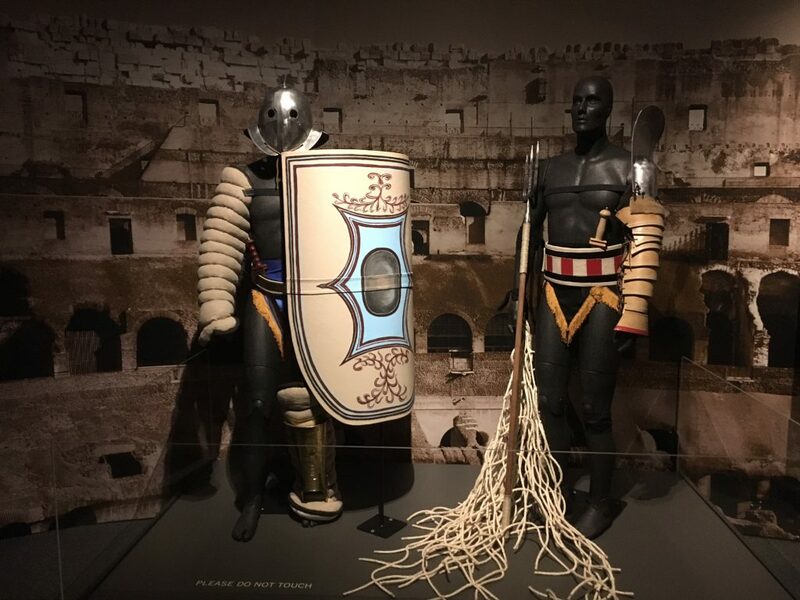 Check out the video below to learn more about our HMNS Gladiators, and be sure to check out our amazing new spacial exhibition Gladiators: Heroes Of The Colosseum! Previous Post Is that a new specimen in our Hall of Gems & Minerals? Of Quartz it is.